A few days ago, we talked about ‘British-made’ Silbury Hill – the biggest prehistoric man-made structure in Europe that even rivals some of the smaller ancient pyramids from Egypt. And now, it turns out that the ancient Britons also followed another ritual that was very similar to the Egyptians. We are talking about the process of mummification, and how it was prevalent in Bronze Age Britain from a period of over 1,400 years (from 2200 BC to 750 BC). To that end, scientists have studied various skeletal remains pertaining to the date range – and their assessment has revealed that a significant percentage of the dead were mummified. Though the researchers are still unclear on what criteria did the ancient inhabitants chose their deceased for mummification. After you die and your cells start to break down, the kind of internal gates that keep your bacteria within their locales break down as well. Your bacteria — they have no loyalty. They start to attack your soft tissues in the first few hours after death. In essence, bodies that were not mummified tend to showcase more prevalent cases of bacterial bioerosion, while mummified bodies tend to have their bones better preserved (with the help of both natural and man-made techniques). 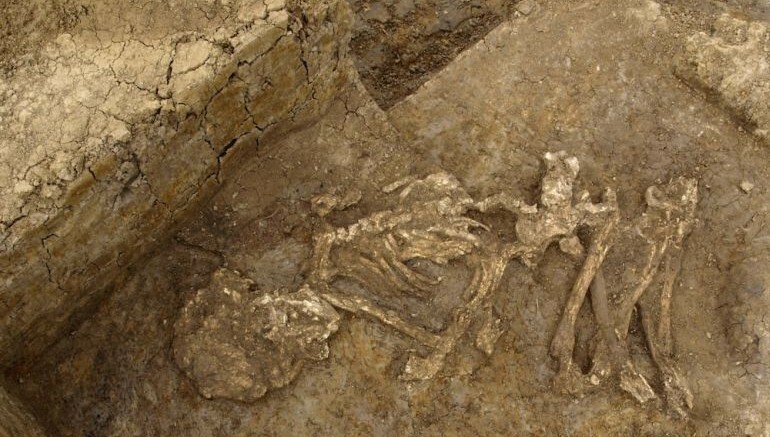 In that regard, the researchers analysed over 301 bodies from various European archaeological sites, and 34 of them dated from the Bronze Age period. Among these 34 specimens, 16 had excellent bone preservation as compared to the others originating from Ireland and Yemen. The researchers have further noted how the Bronze Age people likely used different kinds of techniques for the mummification – like placing the bodies in bogs for a certain period of time or smoking them over fire. Moreover, they also removed the organs from majority of the mummified specimens, thus mirroring their Egyptian counterparts.